Hawaiʻi Island police charged a 25-year-old man in connection with an auto theft. At 1:05 p.m., Wednesday, (October 25), officers responded to an ʻIwalani Street residence in Hilo for a report of a stolen Acura sedan. The investigation that followed indicated that the responsible party was Jeremy Rafael Jr., a man known to officers as one of the many suspected car thieves rounded up by the department’s auto theft task force a few months ago. The vehicle in question was later found abandoned on Railroad Avenue near the dead end. 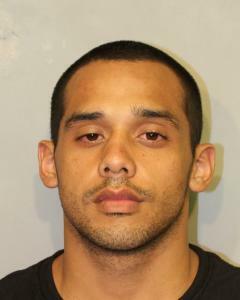 Rafael, who has no permanent address, was located early Thursday morning, (October 26), in the Keaukaha area and arrested. He was taken to the Hilo cellblock while detectives with the Criminal Investigation Section’s Special Enforcement Unit continued the investigation. This morning, (October 27), police charged Rafael with one count each of unauthorized control of a propelled vehicle, third-degree promotion of a dangerous drug and prohibited acts related to drug paraphernalia. He remains at the Hilo cellblock in lieu of $20,000 bail pending his initial appearance scheduled for Monday afternoon, (October 30), in South Hilo District Court. Anyone who may have witnessed the incident or have any other information about it is asked to call the Police Department’s non-emergency line at (808) 935-3311 or Detective Aaron Carvalho of the Area I Criminal Investigation Section at (808) 961-2272 or Aaron.Carvalho@hawaiicounty.go….